The Satsuki Odamura Koto Ensemble is led by Satsuki Odamura, the Director of the Koto Music Institute of Australia, and has been performing in venues and at festivals throughout the country for the last 10 years. The ensemble involves both the standard thirteen-string koto and the seventeen-string bass koto. 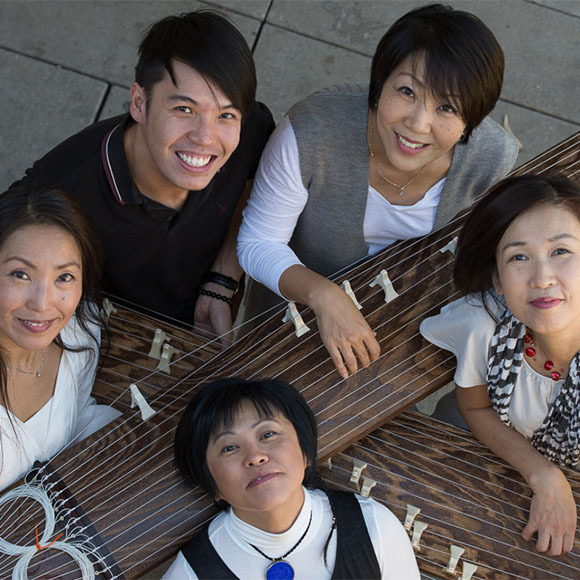 Contemporary compositions form the foundation of the ensemble’s repertoire and the music played explores the depth and breadth of the koto’s sound. The energy of the musician’s performance creates a dynamic stage presence, displaying the power and elegance for which the institute is known.